Transgenders from all over the country protested against the Transgender bill. New Delhi : Transgenders from all over India, under the banner of Bali Raja Party staged massive protest today in National Capital Delhi. According to the transgenders, the bill have made the image of a transgender as beggars. Earlier when they used to visit homes of new born and couples to be married for spreading blessings and praying for their long living, people used to provide them with money with a feeling of Gurudakshina. But this bill categorized them into a group of beggars as they go door to door for collecting money and spreading wishes for any good cause. 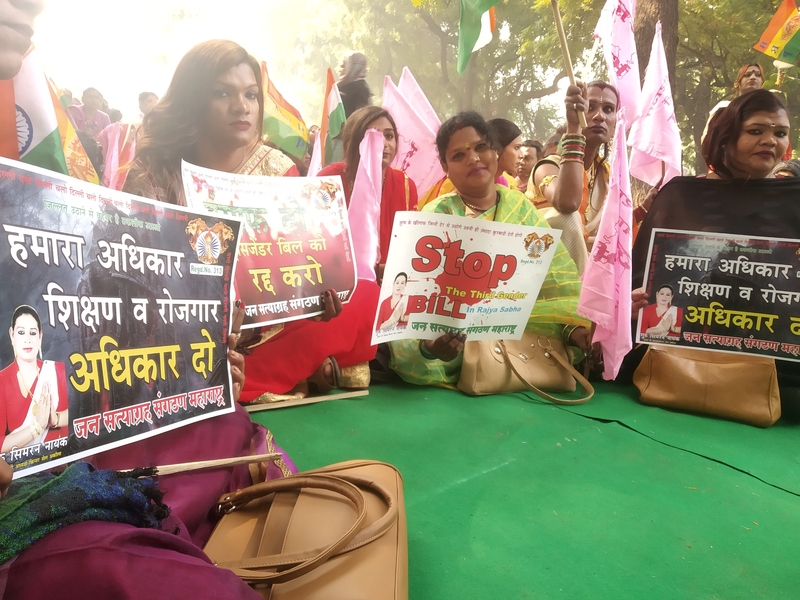 Bali Raja Party which is mainly active in Maharashtra, today came up with hundreds of Transgenders who raised their voices against the Transgender bill. Their main demand was to remove their gender from the category of beggars.